European River Cruise - Enticing Douro European River Cruise on the Amavida. 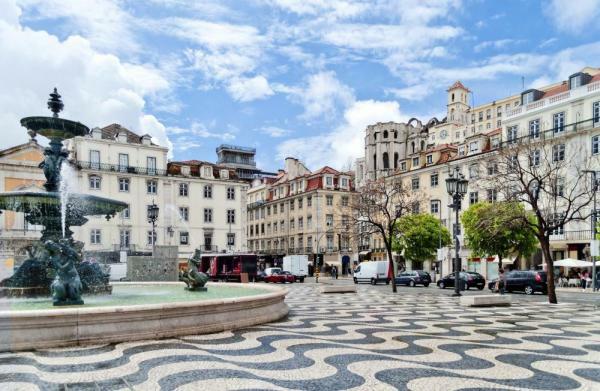 Spend three nights in Portugal’s capital, Lisbon, before beginning your European river cruise down the Douro River, with its dramatic gorges, lush vineyards, and tranquil fishing villages. 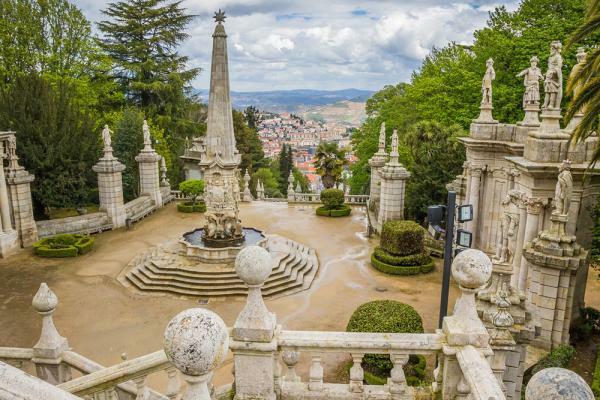 Begin in Porto and continue on to the ancient and picturesque city of Lamego. Enter Spain to visit Salamanca, a UNESCO World Heritage Site, as well as the beautiful inland countryside and the palace and gardens of Mateus. Explore the 24th-century Alpendurada Monastery before concluding your small ship river cruise in Porto. Arrive in Lisbon and check-in to your hotel. 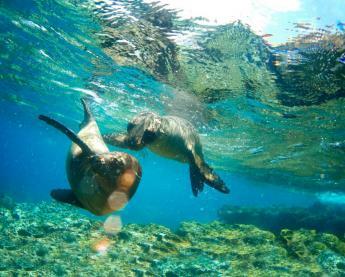 The remainder of the day and evening is free to explore on your own. One of Europe’s most beautiful cities, Lisbon, stretches across several hills along the Tagus River. On your guided tour see Belem Tower, a fortified four-story tower made of limestone, and visit the late Gothic Jerónimos Monastery, the burial place of many Portuguese kings and heroes. Taste a typical Portuguese pastry, Pastéis de Belém, before going to Discoveries Monument, built in honor of Portugal’s greatest maritime explorers. Enjoy a morning excursion to Serra de Sintra, one of the loveliest mountain villages in Portugal and a favorite summer residence of the Portuguese royal family for more than 500 years. Long an inspiration for artists and poets, Lord Byron once called it “perhaps the most delightful village in Europe.” High up on a rocky peak and tour the Castelo da Pena, a wonderful fairytale castle dating back to Portugal’s Romantic period. Afterwards, enjoy a wine tasting or free time on your own. 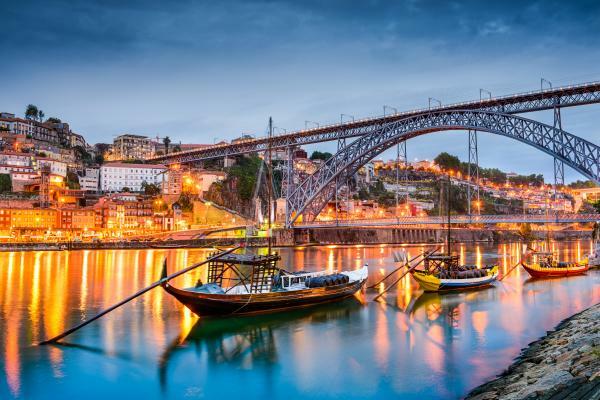 Check out of your hotel and board a high-speed train to Porto to embark on your ship. Later in the evening, enjoy a welcome aboard wine toast. 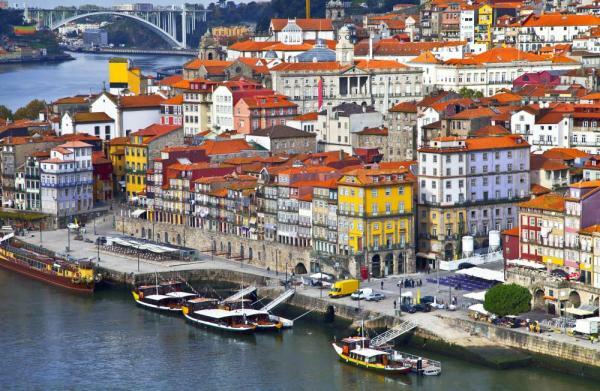 The colorful city of Porto blends the best of old and new, which you can discover on a guided tour of the historic quarter, a UNESCO World Heritage Site, including the Cathedral, one of the city’s oldest monuments; and the São Bento Railway Station, known for its blue and white tile panels depicting scenes from Portuguese history. You can also enjoy a tasting of Port, Portugal’s most renowned contribution to the world of wine at Graham’s Winery. 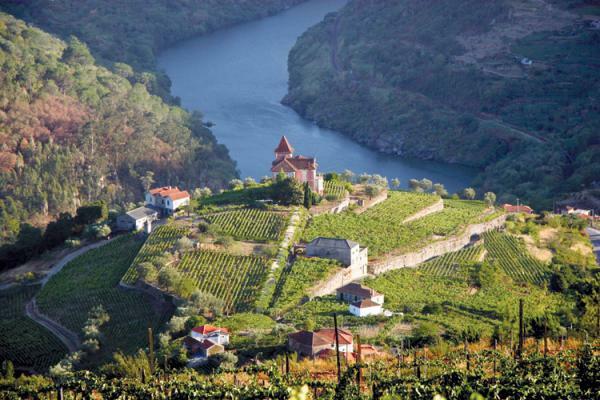 If you prefer to get more active hike to Graham’s Winery, offering magnificent views over the Douro River. Later in the day, set sail to Entre-os-Rios and enjoy a lovely wine and cheese tasting at Quinta da Avelada, one of the best wine producing estates in the Vinho Verde region. While here, wander through the Quinta Aveleda’s gardens, where you can find a thatched house for geese, peacocks and graceful swans. Afterwards, enjoy a lovely dinner. During the morning, visit the Douro Museum in Régua, showcasing the history, culture and identity of the Douro Wine Region. 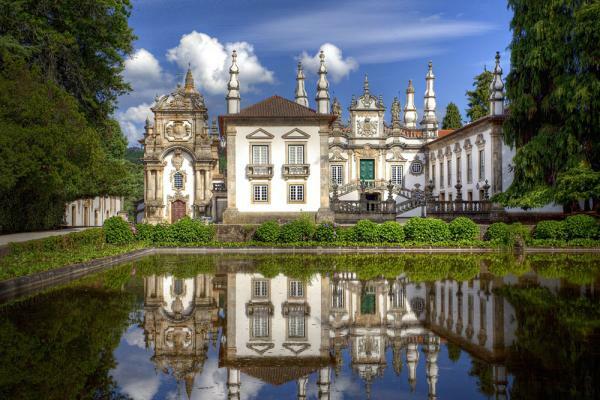 Afterwards, travel to picturesque Lamego, home to one of the most important pilgrimage sites in all of Portugal, to see the Nossa Senhora dos Remédios (Sanctuary of Our Lady of Remedies). The shrine features a staircase of nearly 700 steps, beautifully decorated with white and blue tiles, which the more active adventurer may want to hike. Concluding both tours, you have the opportunity to sample local traditional specialties, such as Bôlas de Lamego, bread filled with smoked ham; Presunto, a type of dry-cured ham; and Espumante, a Portuguese sparkling wine. Then go to the formal Episcopal Palace Museum. Alternatively, venture to Quinta do Seixo, producers of some of the most traditionally made wine in the Douro region. An expert from the Sandeman Winery takes you on a tasting and private tour of the wine cellars, teaching you about the centuries-old winemaking methods. Spend time soaking up the beauty of the Douro River as you cruise to Barca d’Alva, where you can visit Castelo Rodrigo, a small fortified village perched high on a hilltop with centuries-old walls, steep narrow streets and fantastic views. 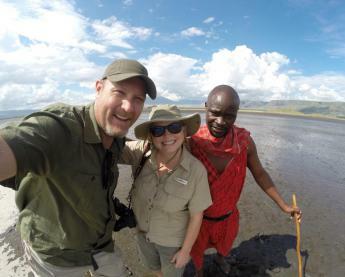 You can also opt to hike up to the village should you wish a more active exploration. While here, taste some delicious locally grown produce. 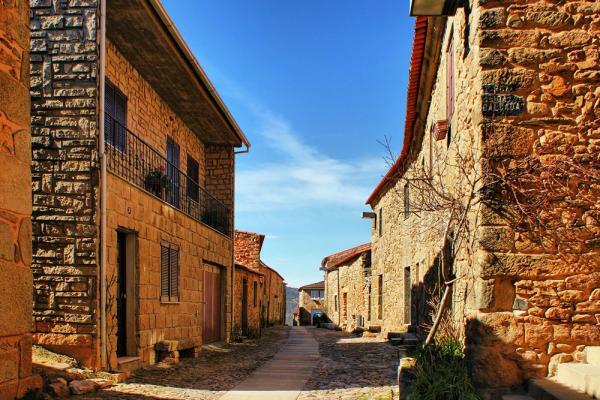 Drive to Salamanca, a UNESCO World Heritage Site. Built of golden sandstone, Salamanca is known as a “living museum,” and you have an opportunity to step back in time to the Middle Ages during your guided tour, which includes the city’s elegant university buildings, the twin-towered Cathedral, the intriguingly decorated House of Shells and Plaza Mayor. Savor an exclusive lunch at Quinta da Roêda, Croft’s flagship vineyard estate. 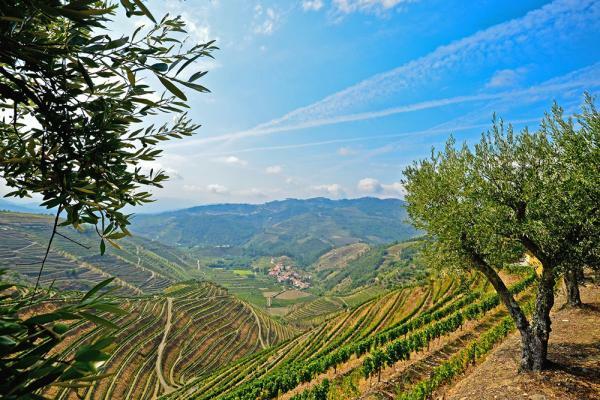 Discover the secrets of the vineyards as you take a guided walking tour through the property, stopping at points of interest along the way and taking in the magnificent landscape and the stunning views across the Douro River. Afterwards, go on an exclusive private tour of Quinta do Seixo’s wine cellars, learning about the Douro Valley’s centuries-old winemaking methods before sampling some of the wines. Later in the day, visit the Baroque-style Palacio de Mateus and its gardens, located in the beautiful Trás-os-Montes region. Inside the house you can see exhibits of religious images and beautiful furnishings, paintings and a ceiling of intricately carved wood. The gardens here are considered some of the most beautiful in Portugal. Visit Guimarães, one of the most historic towns in Portugal and a UNESCO World Heritage Site. The birthplace of Portugal’s first king, Guimarães claims to be “the cradle of the nation” and boasts a historic center that is one of the most attractive and best preserved in all of Portugal. 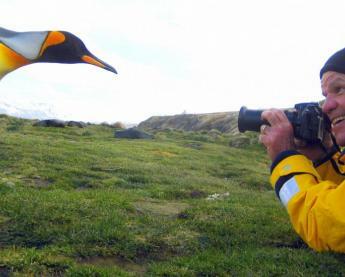 You also have the choice to take a short journey to a nearby coastal town for the “Tastes of Matosinhos” tour where you can visit a traditional restaurant serving Pataniscas, a traditional Portuguese cod fish cake, and other typical regional snacks. You also have the option to go on the Jewish heritage tour through the Jewish Quarter of the city discovering the fascinating Jewish heritage. - Transfer from the hotel to Porto via high-speed train.